Pastor Morton joined the church staff after serving for nearly 30 years as missionaries in England and Canada. 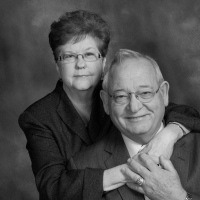 He and his wife, Patsy, have been such a blessing to our church and our Shut-ins. He and Ms. Patsy are the leaders of the Calvary Bible Class which meets each Sunday AM in Elsom Hall. They are also the organizers of the Golden Agers fellowship group that meets the second Tuesday of each month.